I won this cleansing water a while back when I won a blog giveaway and had never heard of the product, nor the brand before, so I was excited to give it a go! 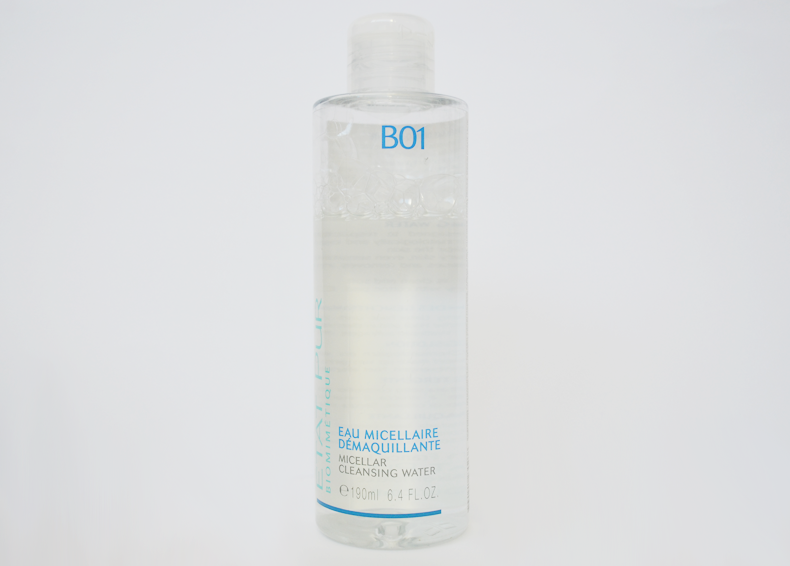 The Micellar Cleansing Water is a typical cleansing water, claiming to ‘cleanse and remove make-up in one wipe‘ and ‘respect the skins natural balance and guarantee good ocular tolerance‘. The product costs £7.40 for a 190ml bottle. Although I am impressed with this, I don’t feel as if it has wowed me enough quite yet for me to purchase a bottle myself. It seems like it’ll last a while but I just feel as though I could probably find something that does just a good job but much cheaper. I think I need to give it a go for a bit longer to form a real opinion on it.